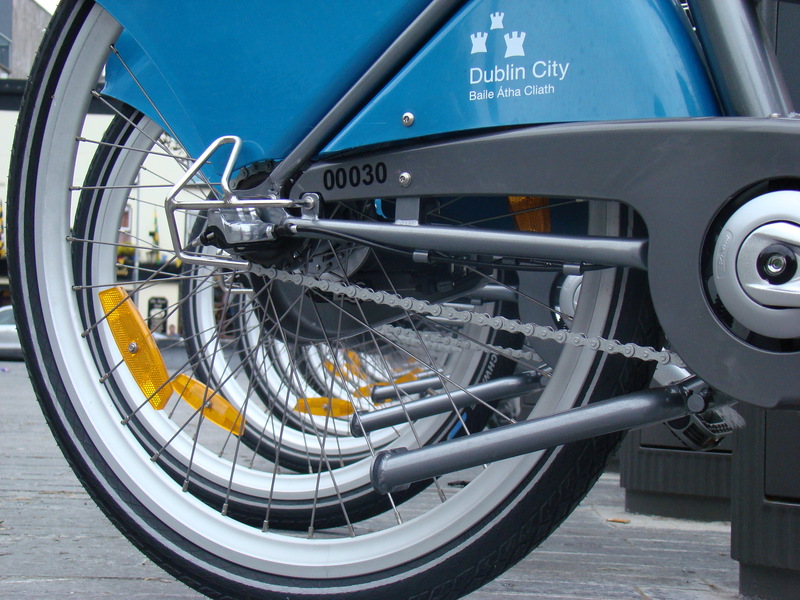 Dublin Bikes have made it in town, but can these city bikes survive in the wild suburbs, Cian Ginty writes. ‘A successful bicycle scheme is where you get two to three trips per bike per day and on our best days we’re heading towards 13 trips per bike,” says Andrew Montague, outgoing lord mayor. The plan, the council says, includes doubling the number of bike stations from 44 to about 100 and trebling the number of bikes from 550 to around 1,500. After that the city wants to get to 5,000 bikes. An ambitious strategy aims for the service to expand from as far as DCU on the northside to close to UCD on the southside. It’s understood that the outstanding issue is the council finalising a deal with advertising firm JCDecaux, which runs the system. Advertising alone won’t work as the amount of ad space the city would have to give away to finance a city-wide bike sharing system would be too great, says Montague. “At the moment with our first 500 bikes, we’re more than covered with advertising but we want ten times more bikes and we can’t have ten times more advertising in the city and besides the advertising market has collapsed – if we were to try to renegotiate the original deal now we would not get near as a good deal as we got in the first place,” he says. Asked if a subscription hike will be needed to cover part of the expansion cost and if the cost to use it may go up, but he says that they want to keep it as “low as we possibly can afford, we have to balance the price with paying for the system.” Having a low annual cost, he says, is attractive to occasional users who may not re-subscribe if the cost was too high. “Up to now it’s been totally free for the taxpayer. It has not cost the tax or rate payer a penny – in fact the council has made money out of it. In the future it won’t be paying its own way so we’re going to have to start looking to the cyclist to pay a little bit more,” says Montague. The Department of Transport has given half a million for the first part of the expansion. “We’re also looking to see if we can get sponsorship,” Montague adds. But is the demand there for an expansion? If the city council manages to expand out to the suburbs, Montague sees trips into the city centre as only part of the picture. “People will cycle from suburb to suburb so you might cycle from Santry to Beaumont or from Rathmines to Rathgar. These are unpleasant trips to do by car because there’s such a shortage of parking spaces and a bit too long to walk – but perfect to cycling. Plenty of people will cycle into town but I’m interested in local trips,” he says. 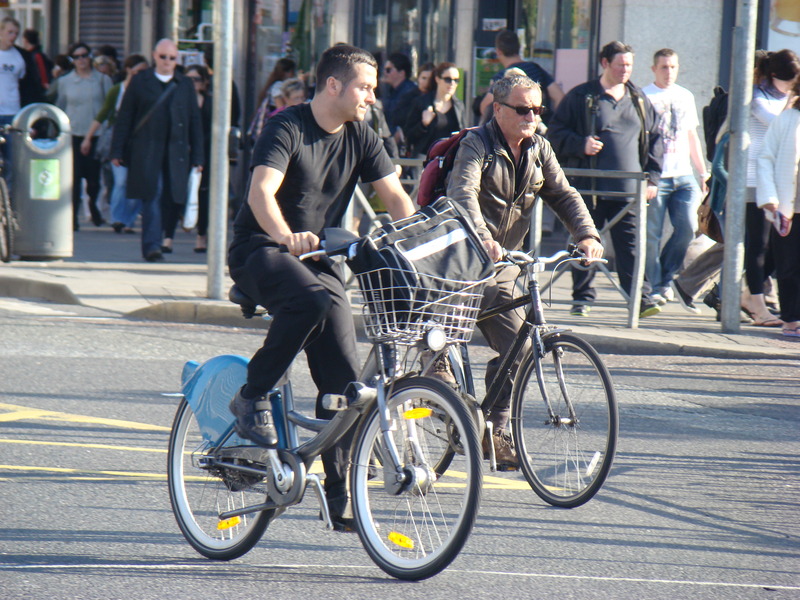 Almost half of Dublin Bike users had never cycled before and a lot of users then move onto buying their own bicycles. Hub gears and brakes. Low saddle, relaxed stance. Fat, comfy tyres. I tried one out this summer. where is the nearest bike station to glasnevin ? At the moment it’s at the Mater Hospital’s North Circular Road entrance.